What are the ages of our campers? How Jewish is our camp? What kind of activities do campers participate in? What if a camper doesn't want to participate in a particular activity? How do you ensure safety at camp and on trips? What does a camper need to bring to camp? What should campers refrain from bringing to camp? Does the camp provide transportation? 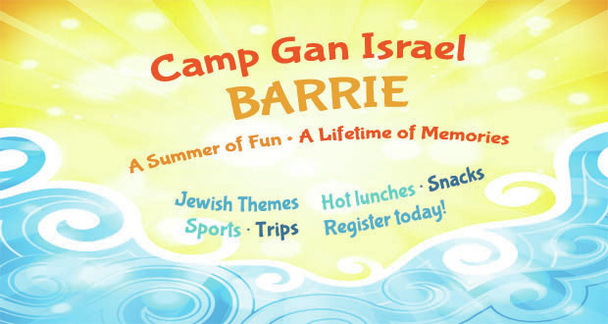 Camp Gan Israel is geared for Jewish boys and girls ages 5-12. Our Mini Gan program is geared for children 18 months to 4 years old. Camp Gan Israel is a totally non-judgemental environment made up of campers from all Jewish backgrounds. An individual's level of observance is not stressed. All campers enjoy a shared Jewish spirit through our activities and programs. No camper will be forced to participate in any activity. However, we do encourage campers to try all activities and take advantage of the complete program offered at camp. Safety is paramount at camp. Your child’s personal health and wellbeing are topmost on our agenda. All of our staff are trained in basic First aid & CPR, and we take every necessary precaution to provide your child with an exciting and safe camp experience. Athletic clothing and sneakers. Crocs or flip-flops are not allowed at camp. Camp provides drinking water during all activities.​ Campers will be notified when to bring water-activities apparel, or any other specific items. Cell phone, IPods, portable game systems, money, or anything else of value should be left at home in order to ensure the safety of their belongings, as well as participation in group activities. Yes. We strive to make our programs accessible to individuals and families from all backgrounds. We give parents the option of choosing to pay 'full tuition' or 'subsidised tuition'. We also offer a sibling discount, on which you save for each additional child from the same family that registers. Our policy throughout all of our programs is that no Jewish child will be turned away due to lack of funds. If you are in need of assistance, please complete the Scholarship form after submitting the Registration form and we will do our best to accommodate. ​Camp does not currently provide transportation. However, if there is a demand for it, it will become available for an additional fee. If getting to or from camp is a problem for your child, please let us know. Regardless, we will make every effort to arrange for your child to get to camp and back home safely by means of carpooling with other children.